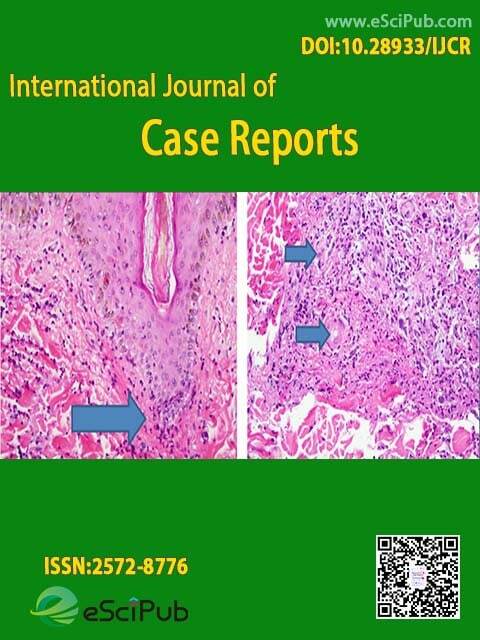 International Journal of Case Reports (ISSN:2572-8776; DOI:10.28933/IJCR) is a peer reviewed open access journal publishing case reports. International Journal of Case Reports (ISSN:2572-8776) is a journal publishing research manuscripts, review articles, case reports, editorials, and letters to the editor (Indexing details). Time to first decision: within 2 days for initial decision without review, 18 days with review; Time to publication: Accepted articles will be published online within 2 days, and final corrected versions by authors will be accessible within 5 days. Please feel free to contact our rapid response team if you have any questions about eSciPub. Our customer representative will answer your questions soon.